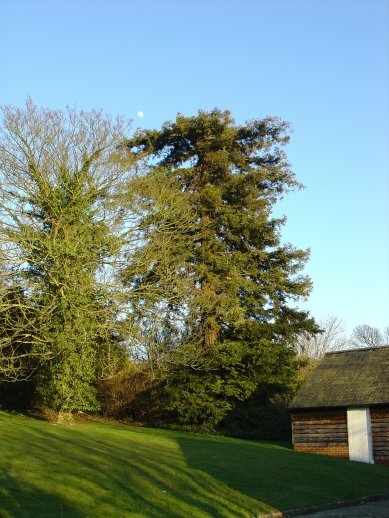 Seven Giant Redwoods can be found in the grounds of the castle, including two superb young saplings. 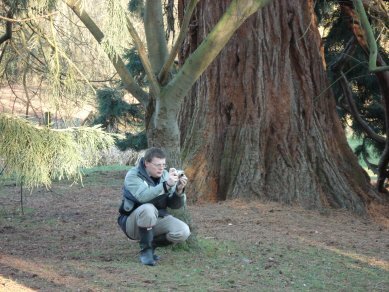 Close to the pair of Giant Redwood near the car parking area, the curiousity shown in the lower photograph can be found. 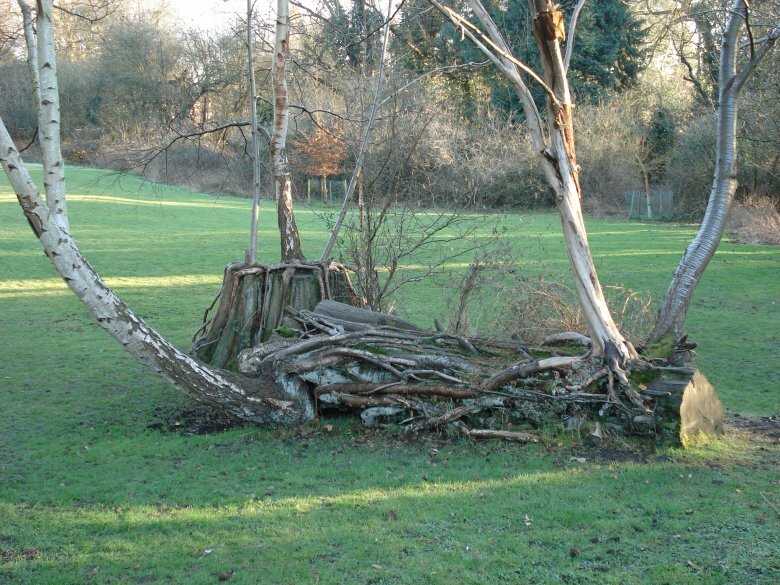 This appears to be the stump of a Giant Redwood that was cut down many years ago, with a few metres of its trunk laying close by. Growing from both of these are clusters of what looks like Silver Birch trees, their roots cascading over the remains in an eerie fashion. 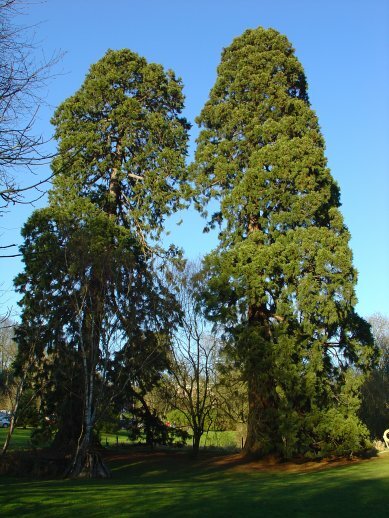 The high level of tanin in Wellingtonia wood means that decay takes a very long time. This probably contributes to the live trees very long life span. The Norman Keep was built around 1140 for Aubrey de Vere II and it is also worth visiting! Events at the castle grounds range from snowdrop walks in February to medieval events and classic car rallies, further details can be found on the Castle Hedingham website.